Now offering Chrome as a browser option! We’re excited to add Chrome to our list of browsers for site analysis – See how your site renders on Chrome! 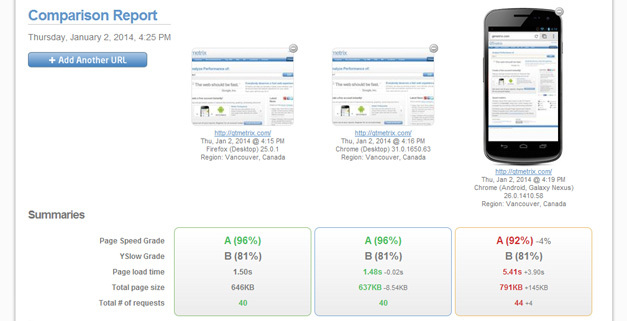 PageSpeed and YSlow scores should remain the same, however page load times and waterfall graphs might differ. Each browser renders sites in it’s own way (different rending engines), so your site components might load differently. In addition, if you’ve set any browser-dependent content delivery or scripting, page loads will differ across each browser. Take a look at GTmetrix’s site across Firefox, Chrome for Android, and Chrome for Desktop.